We're Back At Tokyo Auto Salon For 2017! 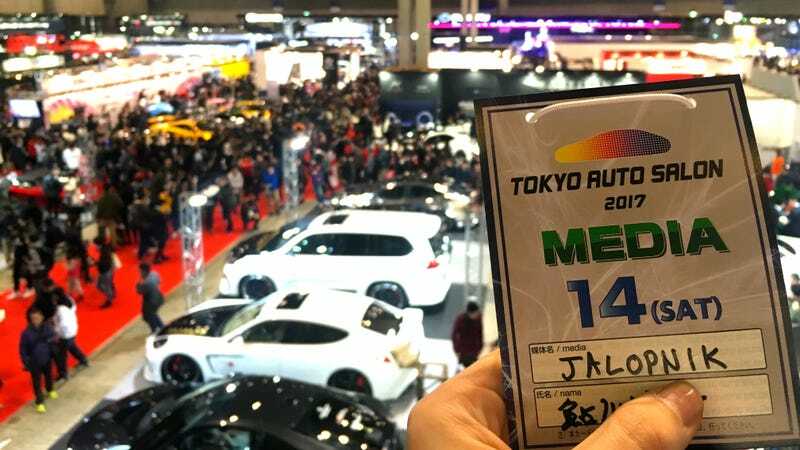 Another year of Jalopnik brings you another year of Jalopnik East, and coming off Detroit, we’re once again back at the Tokyo Auto Salon for 2017, bringing you all the JDM goodness from Nissan, Subaru, Honda, Toyota, Daihatsu, Suzuki, and a bunch aftermarket manufacturers. Turn on some Eurobeat and let’s hit the floor! We’ll be here all weekend, so let us know what do you want to see, and we’ll try to get around and cover it. There’s so much here it’s impossible to really do it alone, but, alas, I, Kat Callahan, shall endeavor to do my best, if you tell me what you want to see and read about. YOROSHIKU ONEGAISHIMASU!